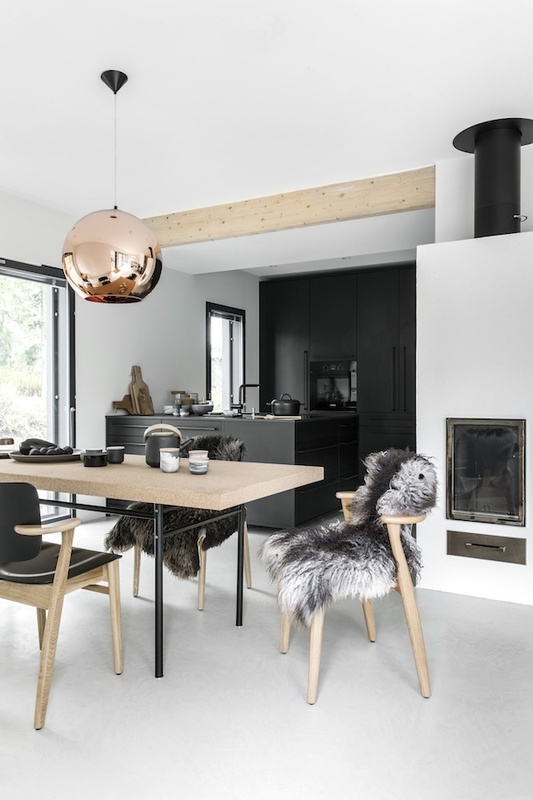 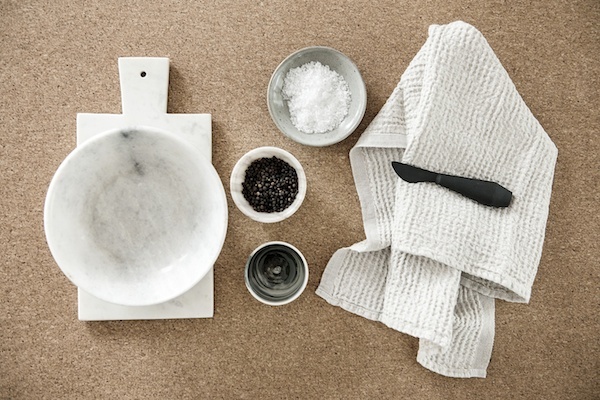 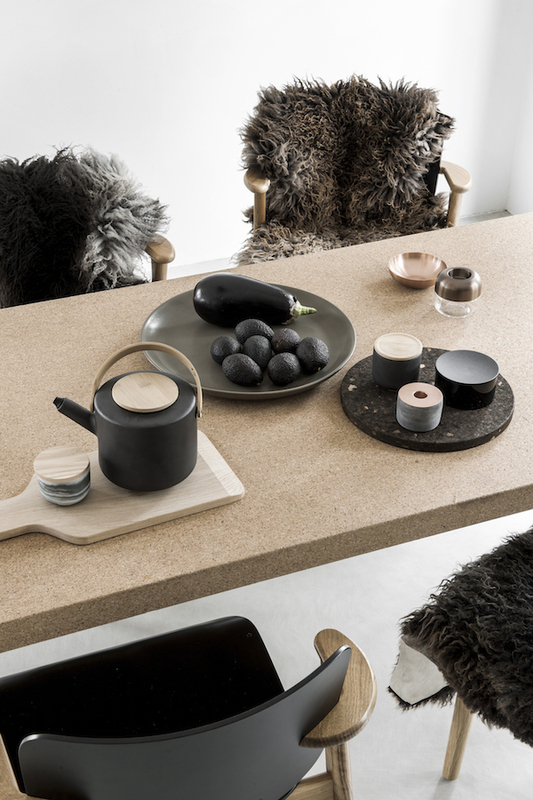 I was immediately in love with this home and I think it is one of the homes where the cork table by Ilse crawford from the IKEA Sinnerlig series really stands out. 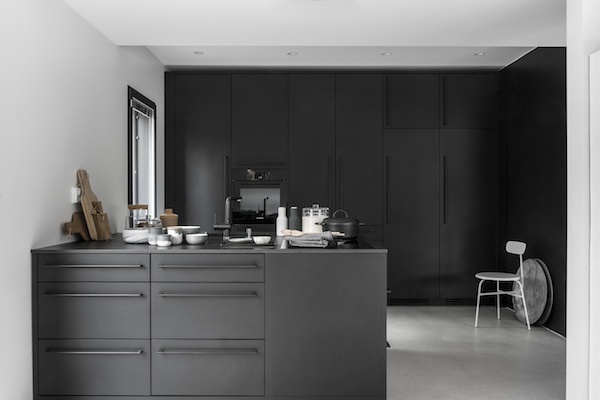 The best part for me though is the all black kitchen where the black cabinets beautiful contrast with the concrete floor... a real dream home if you ask me! 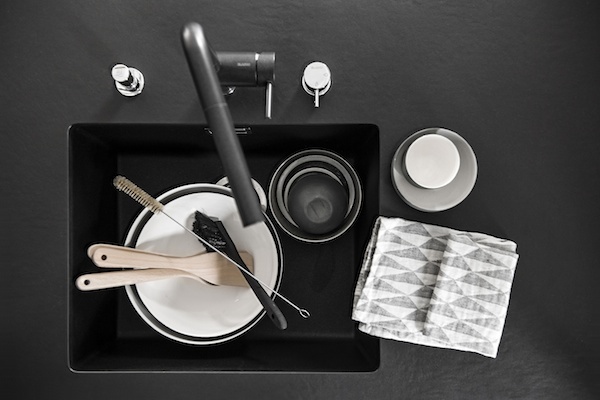 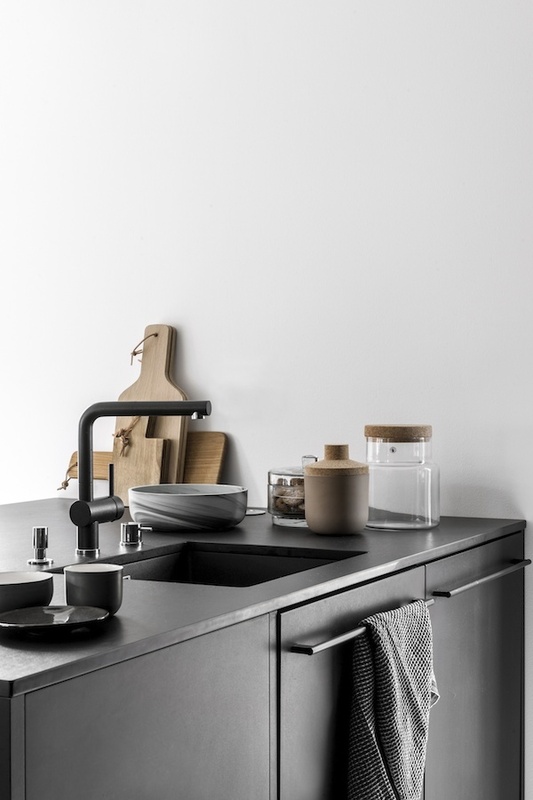 The kitchen is by famous Finnish interior designer Valenti and this model is called 'loft' the countertop is from Dekton Consentino. 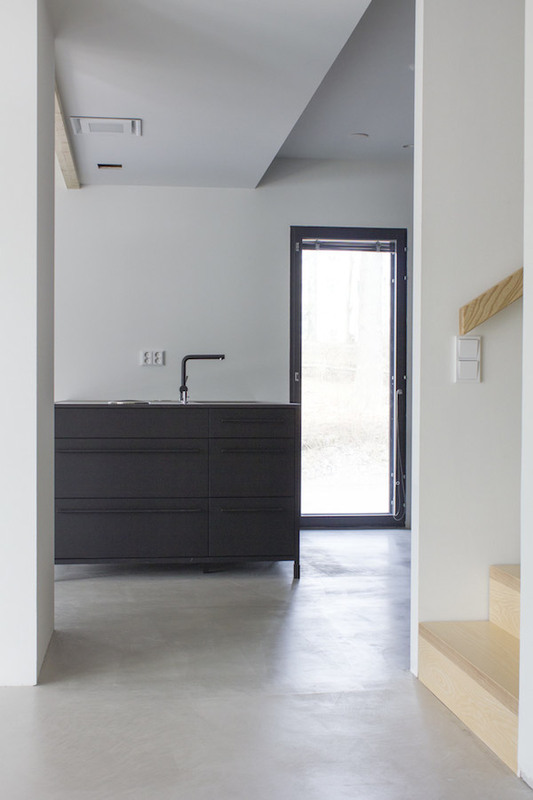 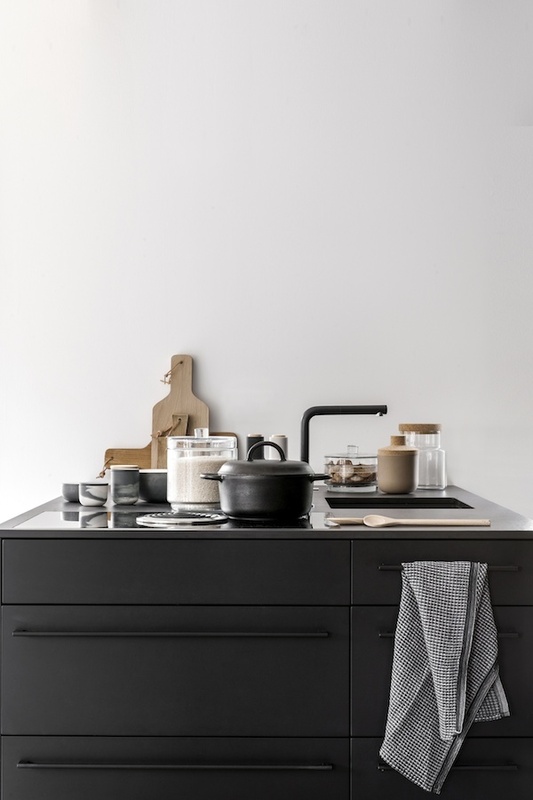 This modern wooden home in Helsinki is designed by the owners, Piia who is an interior stylist and textile designer documents their building proces and house project on the Gloria website at her own blog Little house in Helsinki.